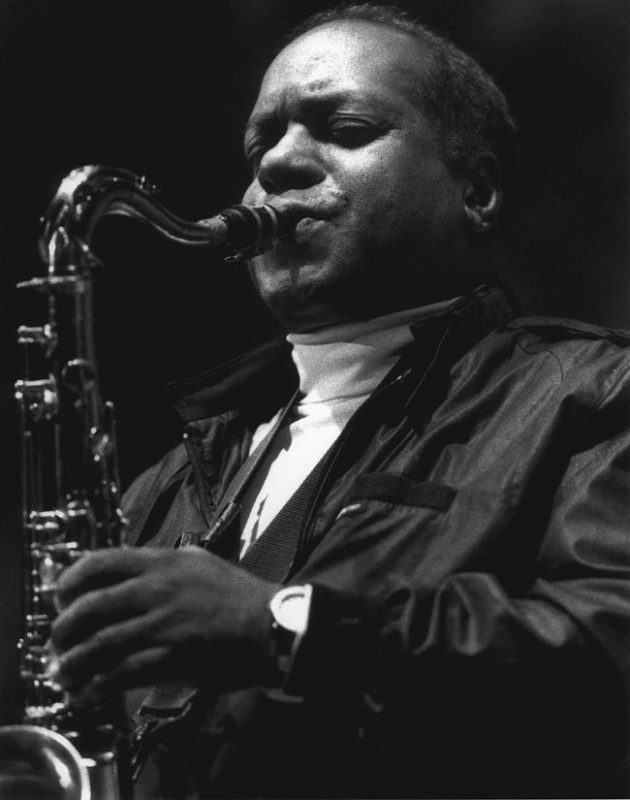 Eddie Harris (October 20, 1934 - November 5, 1996), was an American jazz tenor saxophonist. Although he was one of the most popular jazz musicians of his day (and the first to receive a gold record), his inclusion in his repertoire of types of music other than jazz and his incorporation of comedy into his act led many jazz critics to consider him insufficiently committed to jazz. 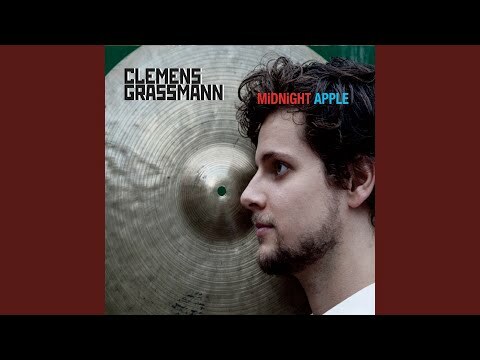 His experimentation with other types of music sometimes had questionable results, but many still regard him as one of the great jazz musicians. His first album for Vee Jay, Exodus to Jazz included his own jazz arrangement of Ernest Gold's theme from the movie Exodus. A shortened version of this track, which featured his masterful playing in the upper register of the tenor saxophone, was heavily played on radio and became the first jazz record ever to be certified gold. How Can You Live Like That? EDDIE HARRIS Come On Down! 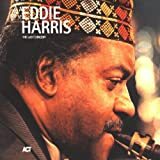 Its hard to know what to expect from an Eddie Harris album as he is been known to play everything from pop to avant-garde. On some albums he will present his unique take on a certain genre only to cast that style aside for his next album. Such is the case on “Come on Down” where Harris and his crew explore the world of hippie style long winded soul/rock jams, and also throw in some very Harris styled exotic numbers as well. The album opens with “Don’t You Know Your Future is in Space”, an excellent progressive big band/jet age pop extravaganza that combines George Martin with Don Ellis and Enio Morricone. 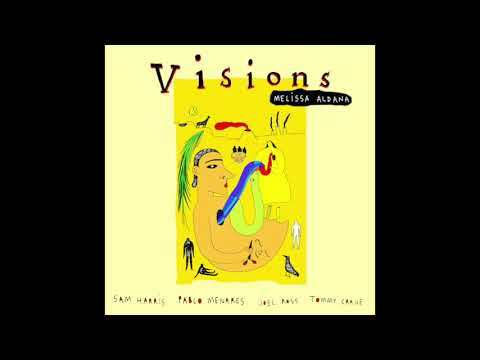 Harris fans who are looking for that oddball exotica hit will be pleased with this one. “Live Right Now” features the band playing a classic 60s jam based on just one repeating riff played to death. Classic rock/RnB jam bands like the Allmans, Jimi Hendrix, Ten Years After and the Buddy Miles Express knew this style well and Eddie Harris makes this one burn with his intense constant double time rhythm solos. It doesn’t hurt that all star RnB bassist Duck Dunn is on board as well as Cornell Dupree on guitar. Side one closes out with a soft ballad that features some vocals by Eddie sung through his electric saxophone, which gives his voice a very strange reverb and “space-age” type effect. 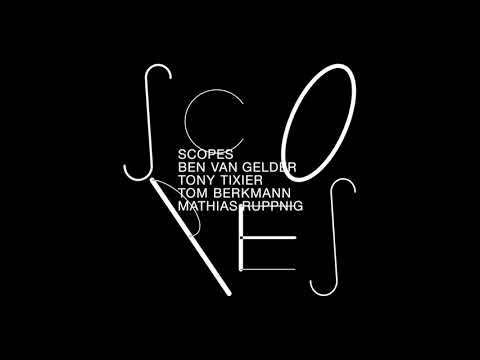 The great modern bop stylist Joe Diorio provides the guest guitar accompaniment on this one. Side two opens with an old school RnB pop tune that finally settles into a jam section toward the end and the final two songs of the album return to the relentless rock jam style that makes up most of this LP. The album closer, “Why Don’t You Quit”, features that other popular hippie jam device, the 3 to 5 chord sequence that repeats forever. This form was given birth by songs like “Hey Joe” and “All Along the Watchtower” and was given a death blow by the overblown “Free Bird”. 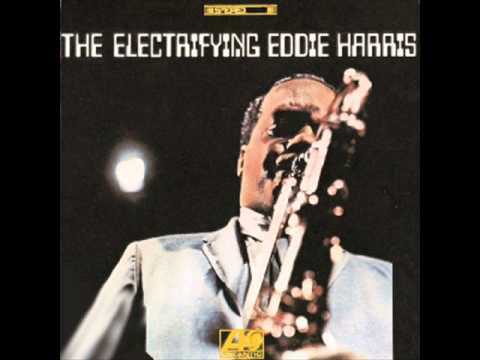 Anyway, towards the end of this jam Eddie plugs his electric sax into an echoplex and sounds like Jimi Hendrix, you go Eddie Harris. Fans of Eddie Harris will not be disappointed in “Come on Down”, you get to hear his burning hot one time take on the flower power get down generation, plus a couple of his usual quirky one-of-kind classics. By the way, strange album cover, looks like it might be a joke on record companies who were reluctant to put African-American faces on their album covers, even the star performer. 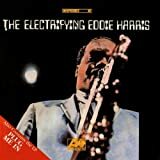 Eddie Harris put out a lot of albums during his lengthy career, some better than others, “The Electrifying Eddie Harris” is one of his best. Long time fans may at first mistake this album for a greatest hits package because so many of Harris’ best loved tunes are on here. The mix of music on here is typical for a late 60s Harris album; you get a couple hot proto-funk numbers, an experimental avant-garde workout as well as some pretty lounge music too. “Theme in Search of a Movie”, (by Charles Stepney) is one of the nicest melodies Harris has ever recorded, its twisting modulations backed by light shimmering strings and a subtle Latin beat have made it a classic favorite with the exotica crowd. “Listen Here” and “Sham Time” are the funk numbers and feature those short punchy call and response riffs that Harris is the absolute master of. In a career full of great funk jazz numbers, these two are some of Harris’ best. On “Spanish Bull” Harris gets with the modern free crowd with a North African flavored modal jam in the style of Coltrane and Pharoh Sanders. The album closes with “I Don’t Want No One But You”, classic blues based soul jazz, the kind of music Harris built his early career on. Eddie Harris fans will want to get this one, it rates alongside “Is It In” as a career highlight. EDDIE HARRIS E.H. In The U.K. 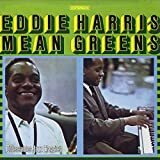 The restless and exploratory Eddie Harris was always willing to try out something new and different, and such was the case when he decided to go to England in the mid-70s to record “E.H. in the U.K.” with some of the top names in British rock at that time including Albert Lee, Jeff Beck, Alan White, Stevie Winwood, Raymond “Boz” Burrell, Ian Paice and many more. Unfortunately, despite such an all-star cast, the results on here are mixed. Some cuts are OK, but most of the songs sound like the rock musicians are being a bit shy and holding back and the straight forward RnB/rock instrumentals Eddie provided don’t ever get a chance to take off. The best cuts include “Wait a Little Longer” and “I’ve tried Everything” which sound like classic Harris instrumentals, but with more of a rock feel in the rhythm. Tony Kaye’s slightly out of tune Moog lends an interesting exotic flavor to the melody on “I Waited for You”. On “He’s Island Man” the band fumbles with a reggae rhythm to no avail. It sounds like drummer Ian Paice more or less has the island beat down, but bassist Raymond “Boz” Burrel is playing the bass line in a syncopated RnB style which totally turns the beat around. This one is a small disaster and was possibly included on the album due to Harris’ laissez-faire attitude and sense of humor. On album closer “Conversations of Everything and Nothing”, the anticipated mid 70s style free jazz-rock jam attempts to go down, but it takes a long time for the musicians to settle and get anything going. The song opens with endless electronic noodling from Harris and most of the members of Yes, Chris Squire stubbornly attempts to start a groove but Alan White ignores him and goes into an extended drum solo while the others frantically noodle away and so on. Eventually they settle on a beat and Squire lays down a hard bass line while Eddie Harris channels Miles Davis’ rock style on the trumpet. Harris’ playing is so ‘Miles like’ that you have to wonder, given his sense of humor, if this isn’t a bit of a tongue -in-cheek spoof. This isn’t a great album, but for those who like odd collectables, its hard to pass up Eddie Harris 'Running the Voodoo Down’ with the members of Yes, who would have thunk it. 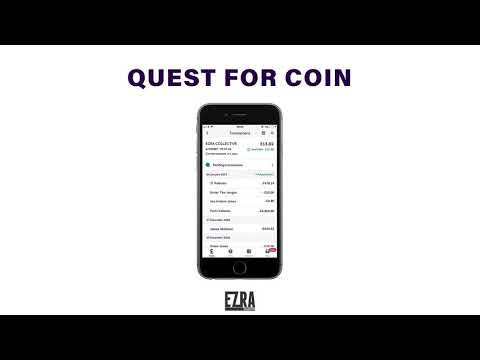 “I Need Some Money” was Eddie Harris’ follow up to his successful “Is it In” and finds him following a similar formula. Both albums feature an odd type of quasi-futuristic electro lounge funk created with cheap retro drum machines, cheezzy home organ and electric piano sounds and Eddie Harris’ ultra funky licks on the saxophone and various early electronic gizmos. Both records are great, but as is typical when you try the same formula twice, Eddie’s light does not burn quite as bright on “I Need Some Money”. Four songs on this album follow the same great blueprint; the cheap drum machine opens things up and then Calvin Barnes adds the real trap set followed by Ronald Muldrow’s cheezzy guitorgan, then the bass, percussion and Eddie Harris’ always very catchy rhythmic melodies. On “Get on Down” Harris adds to the already exotic mix with bizarre vocal improvs that channel Satchmo’s rapid fire nonsense syllables and Leon Thomas’ African yodel. Needless to say, the weird music collectors will find much to like here. Eddie always likes to include a little avant-garde with almost every album and on this album the track, “Carnival”, opens with a humanly impossible polyrhythm on the struggling drum machine to which the musicians add real percussion topped with Harris’ strange atonal early proto woodwind synthesizer. This eventually builds into an African carnival before the musicians start laughing, its hard to tell when they are just being tongue-in-cheek on here. Eddie was also known for being a funny guy on stage as well. 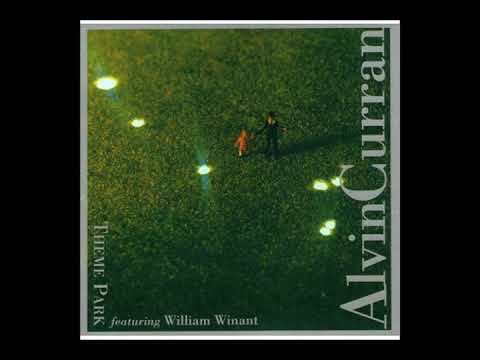 The one weak cut is a very long blues song/suite that goes through many sections before finally ending. Overall this album is highly recommended for those who are looking for the odd-ball early electro rare groove, most of the cuts on here feature some of the best and oddest funk beats you can find. Atlantic’s “The Best of Eddie Harris” was a skimpy six song sampler on LP in 1970, but was expanded to include five more tunes on the CD re-issue. The CD is a fairly good overview of Eddie’s work with Atlantic during this time, but some more comprehensive box sets have come out since. Eddie was an extremely eclectic artist who moved freely from the avant-garde to pure pop, sometimes on the same album. One thing that Eddie could do that alludes many jazz musicians was write a simple catchy tune that is appealing to a wide, even non-jazz audience. This “Best of” features those popular tunes that are in Eddie’s signature mix of hard bop, Latin tinged soul jazz and proto funk. Eddie’s writing and soloing featured short punchy phrases, voiced in an irresistibly catchy exaggerated funky swing, that had a modern sensibility that foreshadowed 70s funk and late 80s sample based hip-hop. “The Best of Eddie Harris” is great for the modern retro DJ and these cuts would liven up any party, but don’t think dumbed-down entertainment. Eddie’s music has cross-appeal, but he never drops his integrity or his sense of gritty realism. Eddie always plays like he means it, there is no coasting here. 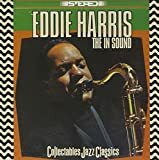 Although the original LP stayed with Eddie’s all acoustic late 60s hard bop funk, the CD’s extra five tunes includes two electronic pieces including a beautiful rendition of “A Child is Born”, played with echoed sax backed by analog electronic keyboards, and a cut from his classic electro lounge funk LP, “Is it In”. Although there may be more comprehensive compilations out there, this one does not have an ounce of filler, if you see it for a good price, go for it. No EDDIE HARRIS movie reviews posted yet.